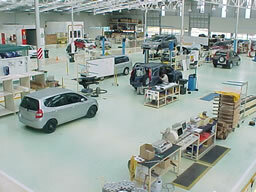 View 1: Honda refurbishment Plant, Nelson. Using AEP and AUSF. 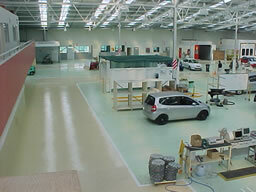 View 2: Honda refurbishment Plant, Nelson. Using AEP and AUSF. 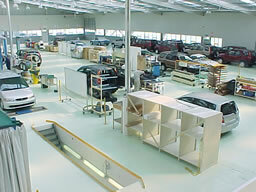 View 3: Honda refurbishment Plant, Nelson. Using AEP and AUSF. 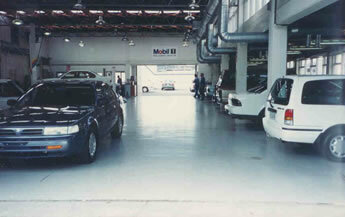 Vehicle Service Bay, Wellington. Using AUSF. Pickle Factory, Auckland. 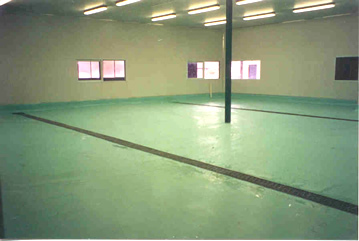 Floors were pitched to falls with Epoxy Mortar Topping and finished with ESF80. 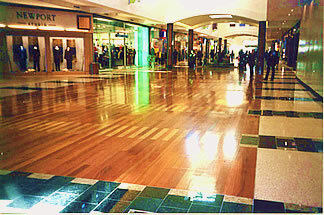 Manukau Shopping Centre, Manukau. 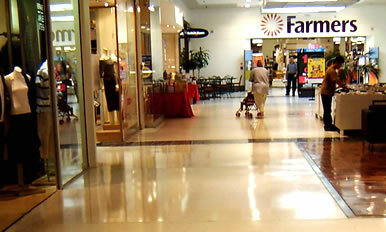 Using AEP, ESF80 and Watermarque 2K Polyurethane Gloss on Terrazzo. Ski hire centre, Whakapapa. 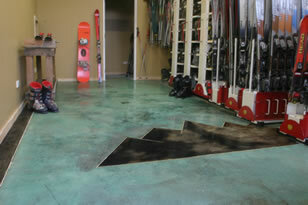 Using MCL Gloss over stained concrete.